See how Isabelle has changed since our trip to China! She has gained a total of 8 pounds and grown 3 inches since her physical in Guangzhou. Here she is today at 24 pounds and 31″. She’s roughly at the 10% for weight and 25% for height. 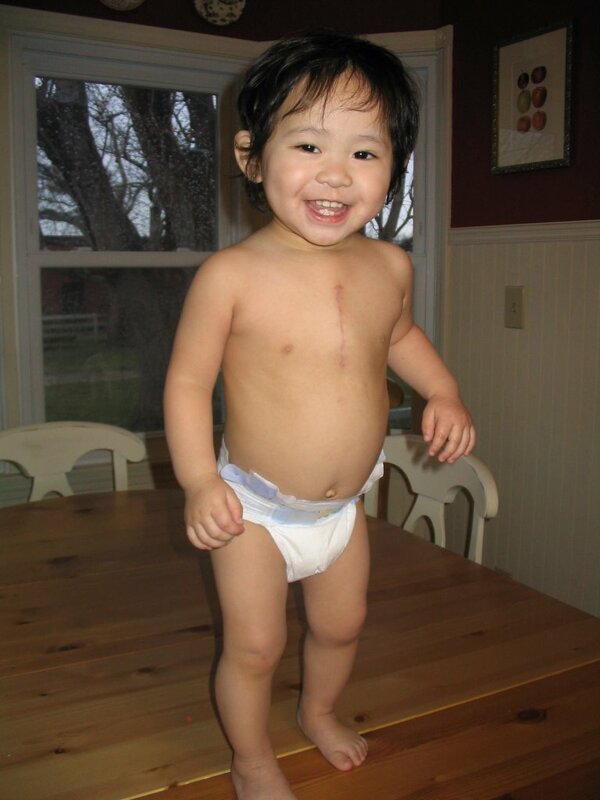 In early June in China she weighed 16 pounds and was 28″. Her height was about 25% but her weight wasn’t even on the growth chart. I wish it was as exciting when I gain a few pounds. SO, SO, SO, SOOOOO CUTE! Isabelle hardly looks like she’s 24 pounds — she still looks tiny, but healthy! I just read through your whole blog and LOVE it! Can’t wait to see the first pic with Sophie and the rest of the kids all together.